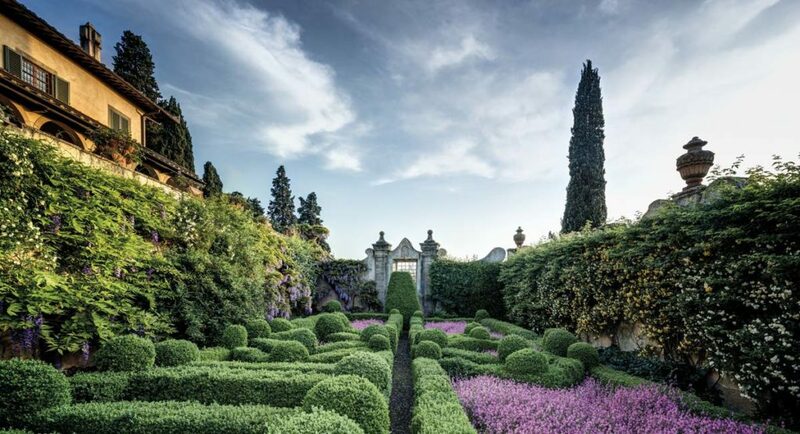 Florence is one of Italy’s most beautiful cities. From the iconic Ponte Vecchio to Brunelleschi’s Cupola, Florence is a city full of history, culture and outstanding Italian cuisine. When it comes to unique and authentic accommodations, Velona’s Jungle Luxury Suites is pure perfection. 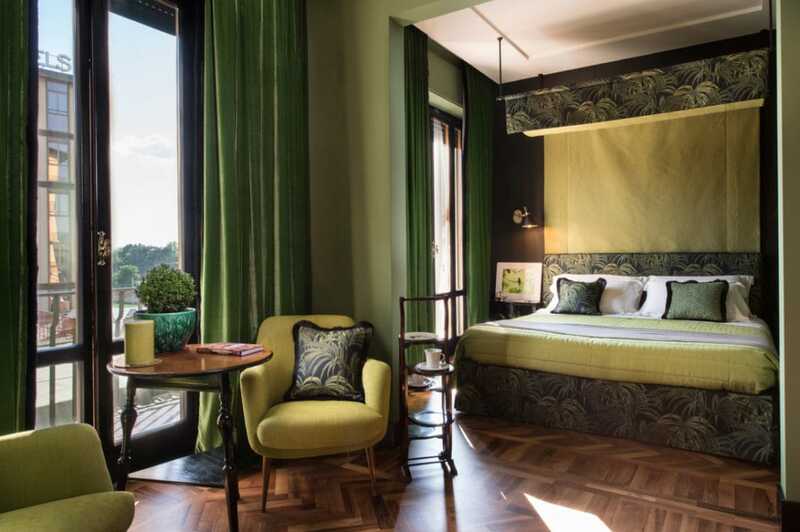 The boutique hotel is found in the centre of Florence. Velona’s Jungle takes inspiration from the family’s patriarch Pasquale Velona who, through his travels as an art dealer, collected furnishings and art dating back to the mid-century. His antique and period findings from across Italy and the world, paired with carefully selected modern works by artists and designers, furnish Velona’s Jungle. The most luxurious of the four suites, is Fossey Suite. Relax after a long day of exploring the city in your king bed. The deluxe suite is a jungle paradise with its rain-shower, tranquil palette and luxury amenities. The hotel has a strong focus on sustaining local culture and practices, and the environment. There is no better way to start a day of exploration than with a healthy, well-balanced breakfast of freshly-made vegan sweet and savoury pastries, vegan croissants, muesli, fruit juices, smoothies, and organic jams. Featuring locally-sourced, organic 100% vegetarian products, Velona’s Jungle offers a true eco-luxe lifestyle to its guests. Decorated with hanging plants and a bohemian atmosphere, L’OV-L’Osteria Vegetariana is one of Florence’s best vegetarian gourmet restaurants. Found in the Oltrarno area, this rustic stone building offers a mix of traditional and regional dishes designed for vegetarians, vegans and celiacs. The menu is seasonal, and unlike any other in Florence. Designed as a culinary journey, you won’t see appetizers, first and second courses but instead ‘before’, ‘after’ and ‘then’. With the freshest market ingredients on hand, the chef creates a culinary experience to savour. Manifattura Tabacchi is “a glam bar in a chemistry lab”. This unique bar is as Italian as they come complete with Italian music from the ’50s and Italian-made spirits and liqueurs. Enjoy the atmosphere and cocktail classics like Negroni, Bellini and Sazerac with a twist. There is something quite elusive about a signature scent. But why settle for second best when you could create your own? 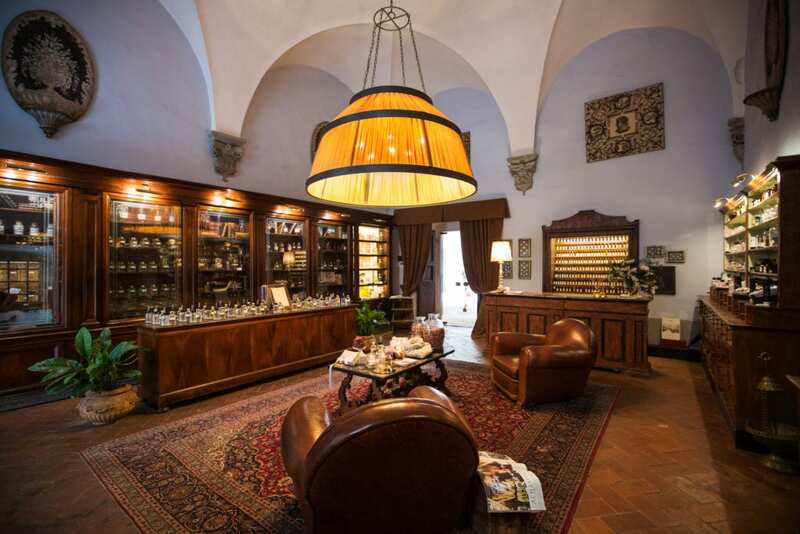 Perfume masterclasses are run in the cellar of a Renaissance palazzo by the Master Perfumer of AquaFlor Firenze. Here, you’ll learn trade-secrets while creating your own perfume.